This year's car show will also have food vendors and live music to enjoy while you check out the cars lining Main Street. To pre-register, complete the form below and mail to the address shown. 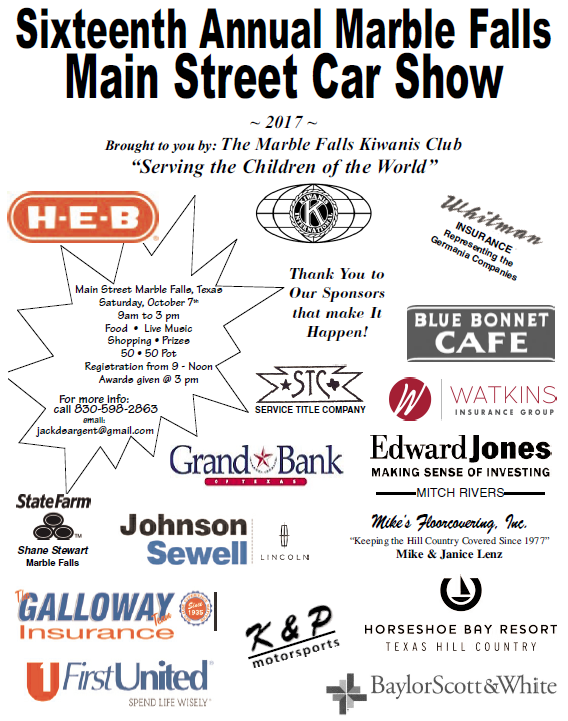 ​Scroll down to see a flyer with the names of local businesses who are sponsors for this year's car show.